Currey Automotive Offers Auto Repair Services You Can Count On! 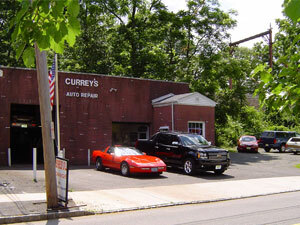 Since 1994, Currey Automotive has provided motorists in the Madison, NJ 07940 area with comprehensive auto repair services that include 4x4 Services, Alignment, Batteries, Brakes, Car & Truck Care, Domestic Cars & Trucks, Electrical Services, Electronic Services, Engine & Transmission, Engine Maintenance, General Services, Heating and Cooling Services, Import Cars & Trucks, Inspections and Emissions, Miscellaneous Services, Quick Lube Services, Tires, Towing, Towing & Recovery, Transmission Services and Undercar Services. Our goal is to offer the best services available at affordable prices to get you back on the road in no time. For a high-performing vehicle, trust Currey Automotive with your car, truck, or van. To learn more about the services we offer, please contact us by phone at 973-377-1126 or send us an email. We also invite you to learn more about our dedication to you, our valued customer. I have been taking my car(s) to Curry Auto for over 15 years. The customer service that Brian and John provide exceed expectations. They get the job done right the first time, every time! Brian is a fair person, he will take the time and explain the how and why work has to be done. 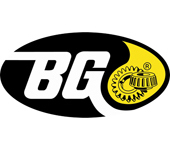 I highly recommend them to service your car. My thanks to Brian. Took my car in for a last minute oil change. He had my car done in a timely manner and answered my questions clearly. On the way home, I picked something up in my wheel and Brian raced to the rescue. He fixed the problem that had nothing to do with the oil change just so I would be safe. Really kind and did a great job. Brian has worked on my son's car for the past year and a half. Whenever there is an issue Brian and his team always listen to my concerns and detect the issue. Brian is fair and always reasonable. I wouldn't think about bringing my car or trusting this to another mechanic in the area! Currey Automotive is the best. I have been taking my cars to them for repairs over the last 20 years. Brian and his team are always honest and reliable. I would highly recommend this Madison business. John and his guys are really helpful and honest when it comes to quoting a price for a repair, which, is important to me. They always give a realistic and fair assessment. Yes, they also do solid work. I highly recommend them.